In his book Kairos for Palestine, Rifat Odeh Kassis deals with a topic that is as fresh as the destruction of a Palestinian home by Israeli-driven, US-built bulldozers, and as ancient as the use of the term kairos, derived from an ancient Greek word which refers to a specific moment in time. The invasion of Iraq and Afghanistan and the current role the US plays in Libya and in the agitation for war against Iran, are the most recent examples of this power and deceit. The Palestinian narrative traces its history through Arab history, from which Palestinians emerged as an important part of the Ottoman Empire. Following Arab support for the Western allies in their war in 1917-18 against Germany and Turkey, Palestinians were assured they would retain their homeland in their corner of the Ottoman Empire. The Zionists were amongst the last of the western colonial invaders to arrive in the Middle East to conquer a land and exploit its population. This invasion was built on military power and deceit, the twin sins that continue to shape the US/Israel alliance in the Middle East. Kairos for Palestine traces the history of what led to the Palestine Kairos Document that emerged from the situation created by that alliance. It tells the story of the Christian churches’ effort to communicate the suffering imposed by Israel on Palestinians and it does so from a Christian perspective. The document originated within the Christian churches working inside Israel, the occupied West Bank and Gaza. It is a community-created document written out of the experience of the Palestinians. It calls upon Christians everywhere to wake up to the conditions under which all of the people of Palestine — Christian, Muslim and non-religious — and respond appropriately to gross injustice created by the US/Israel alliance of empire-building through oppression. The political strategy of boycott, divestment and sanctions (BDS) is a separate project from the Kairos Document. 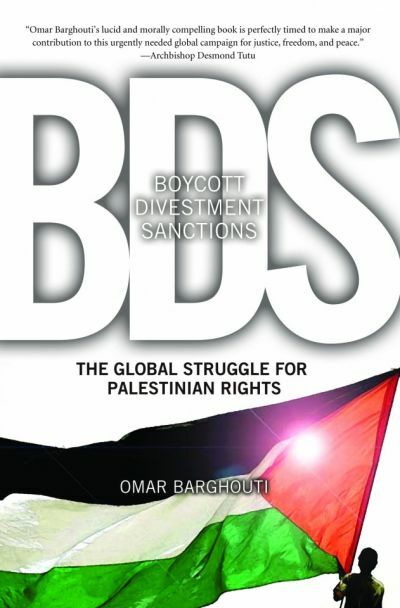 (For more on BDS, see Omar Barghouti.) The Kairos Document and BDS run parallel, however, as two ways in which Palestinians address the outside world, one theological, the other strategic. BDS is a strategy of nonviolence that advocates economic pressure on Israel to halt its oppressive military occupation. It calls attention to the manner in which outside corporations endorse that occupation and profit from it. BDS originated as a political movement in July 2005 as a “call from Palestinian civil society.” It was signed and sent out from a large number of civil society groups within the West Bank and Gaza. It is important to note that, unlike the Kairos Document, BDS is a strategy which the civil society of Palestinians has developed. Jerusalem is being forcibly de-Arabized and systematically Judaized with unprecedented speed and aggression: Life for Palestinians there becomes less and less bearable as house demolitions, evictions, arbitrary arrests and interrogations, residency revocations, and the imprisonment and house arrests of children all increase. The siege on the Gaza Strip remains and intensifies unabated. The Israeli government is forgoing its longstanding public relations campaign — its ongoing propaganda as the only ‘democracy’ in the Middle East — and reverting instead to openly racist laws like the one that seeks to criminalize individuals and organizations that call for boycott. BDS, with its secular origins, is not promoted by the Kairos Document, but BDS has been adopted by some Christian groups as a practical strategy which Palestinians propose the West adopt as a means toward putting economic pressure on Israel to give up its oppressive control of the Palestinian people. UPDATE: Since this essay initially appeared in The Electronic Intifada, some supporters of the BDS movement have written me to take exception to my statement that the “BDS is not promoted by the Kairos Document”. I stand by that statement, though I would certainly concede that the Document has called for a positive “response” to sanctions and boycotts. I did not, however, find in the Document any positive “response” to the strategy of divestment. Furthermore, the Document is a theological statement, not one designed to promote a political strategy. Perhaps it comes down to how we define “promotion” in a heated, ecclesiastical political environment. As we begin a new year, it is important to keep in mind that in the US, the United Methodist Church and the Presbyterian Church, USA, will hold national (international for the Methodists) meetings in the spring and summer of 2012. At those meetings, endorsing the strategy of BDS will be under consideration. Advance word is that pro-Israel forces will make every effort to defeat or soften those pro-BDS resolutions. Resistance of American churches to BDS illustrates how effectively the Israeli (“we are the victims under outside threat”) narrative works to prevent Americans from hearing the call of either the Kairos Document, or the economic strategy of BDS. The modern use of a Kairos statement by an oppressed population dates back to the first edition of a statement from South African Christians in 1985, a document intended, Kassis reports, “to provide an alternative discourse to the dominant theological thinking” of the day. This South African document confronted the apartheid structures maintained by the minority white population of that society. Subsequent Kairos documents have emerged in Kenya, Zimbabwe, India and Latin America, each in ways appropriate to the historical moment addressed, all insisting that the Christian faith calls for the oppressors to acknowledge the sinfulness of their oppressive conduct. The various Kairos documents all pursued the same goal, a prophetic call to those in power to acknowledge that the New Testament commands them to halt their oppressive conduct and identify with the oppressed. Kassis writes (page 83) that these Kairos documents all emerged from similar contexts: oppression, injustice and the denial of equality and human rights. Kassis adds that this moment is one in which God acts. It is a moment, as well, in political terms, that implies “a crucial time, an appointed time, in which the message of the text is delivered” (83). The Palestine Kairos Document, Kassis explains, arose from a dialogue within Palestinian Christian communities, in short, not from outsiders, but from those who suffer under occupation, which is to say, oppression and captivity. The Kairos Document emerged from a Palestinian dialogue among a group of 15 interdenominational Palestinian Christian leaders. The final document was released to the public at an event in Bethlehem on 11 December 2009. Kassis was deeply involved in preparing the final document. With its release, Kassis was selected to serve as the General Coordinator of the Kairos Palestine Group. The kairos moment places a demand not only on Christians, but on people of other religions or no religions, to pay attention to the message that Israeli occupation is “oppression” in the same way South African apartheid and Latin American economic oppression of the poor were oppressive. However the reader understands the term kairos, the impossible-to-refute “facts on the ground” in Israel and Palestine, are clear; this is the “right moment” for the world to recognize and acknowledge that Israel’s occupation of Palestine is unjust, immoral, illegal and destructive. Rifat Kassis’ book does not have an American nor UK publisher. It was originally published by Badalyl Alternatives in Palestine/India. For US readers Amazon does offer a long essay by Kassis on this topic. Click here. The picture at top is from APA images. This posting originally appeared in a slightly longer version on December 23, 2011, in The Electronic Intifada. It is cross-posted here with the permission of The Electronic Intifada. The original posting also appears in Intifada Palestine. Just as American Members of Congress seem, at times, more intent on promoting the interests of Israel over those of the U.S., so to do many U.S. clergy seem more preoccupied with not offending their Jewish counterparts in the U.S. than with supporting their Christian brothers and sisters and Palestine. It is high time for U.S. Christian leaders to accept that they have a vested interest in this conflict, not only an obligation to do justice and protect the birthplace of Christ, but also as taxpaying participants in Israel’s occupation of the West Bank, Gaza Strip, and East Jerusalem. A significant, so-pertinent rumination, Jim. Thank you very much. As usual, Jim, you lay it out as clearly as it can be said. The Zionist juggernaut roles on through most of our citizenry and has our Congress so brainwashed and/or intimidated that our alliance with oppression is barely questioned. In addition to the Methodist and Presbyterian national conventions to be held this spring and summer, the Episcopal Church US will convene its triennial convention in mid July. As a church we are considerably behind our Presbyterian and Methodist brethren in commending adoption of BDS as a valid response to the gospel call to resist oppression, but, in addition to commending the adoption of BDS to our own membership, the Palestine Israel Network of the Episcopal Peace Fellowship is promoting a resolution (now passed by 7 dioceses) calling for, among other things, our churches to study both the Episcopal version of the Presbyterian’s excellent document, Steadfast Hope, and the Kairos Palestine document. Though not any imminent threat to the Israeli government, I am sure there will be well orchestrated efforts to counter our resolution. I don’t know, Jim. At times I think we are making some headway in educating the public to at least hear another narrative; at other times, I think we are only talking to ourselves. Thanks Jim. The problem we have in the Presbyterian Church with supporting Palestinian Christians is that the majority of our clergy are Zionists. The Presbyterian lay people have been voting for decades to oppose Israel’s crimes, but the clergy keep muting the cry of the people. What can we do to change the position of our powerful clergy? What we can do with this article is to forward it to as many churchgoers and church leaders that we know. Also, if anyone has been to Israel/Palestine, and seen first hand the brutality and disregard for fundamenatal human writes by Israel and the settlers towards those who are not Jewish, those people should ask to present their observations and slides if they have them, to congregations all over this country. What Israel is doing, with huge US economic and political support, is a crime, and we the people must stop it. We must also fight AIPAC that promotes Israel’s policies in our Congress, and is now working hard for the US to attack Iran, which would be yet another illegal war of aggression. Most Christians are far too silent and passive about our wars and foreign policies. Jews have no inhibitions in this area, and we need to learn from them. This country needs to be run by those who seek peace and justice, not those seeking war and oppression of those who are different. We are on the wrong track. As Christians and people of conscience, it’s our job to lead this country to change its course. I agree with several other responders to this helpful Wallwriting. This is not only one of the best things that the careful author Jim Wall has written, it is also far reaching and makes a helpful contribution to the important question of the competing narratives in the Holy Land. As a frequent visitor to that region, and a person who has tried to maintain communication on both sides of this great divide, I must say that Jim’s current essay points directly to the central issue: the determined and well-planned effort on the part of the Israeli establishment to convince the power brokers and the Western political leaders that their narrative is correct. They do so as a strategic device to mask their plan to drive Palestinians from the most habitable and valuable parts of the West Bank–especially Jerusalem. This campaign (and that is precisely what it is) has been not only carefully planned but it is well financed. I find it both inspiring and encouraging that Arab Christians like Mitri Raheb and Rifat Odeh Kassis have so patiently and effectively been cultivating the alternative narrative. It is also encouraging to know that a very significant and courageous group of Western Christian leaders and a not insignificant number of sensitive Jewish spokespeople (including some Israeli Jews) have joined in the effort to balance and thereby correct the dominant narrative. Thank you Jim. As usual you deal with pertinent issues. While we are physically occupied by Israel, some of the Western churches to whom we had exported Christianity seem to be psychologically occupied. Best wishes for a peaceful year. Thanks Jim for your important article on Rifat Kassis’s new book about the Kairos Palestine initiative. It is as insightful and informative as one would expect from you, with your wealth of knowledge and eloquence. The parts related to BDS in the article, though, are somewhat inaccurate. This is only partially accurate. BDS is indeed a strategy of nonviolence, but it does not call for only economic pressure and should not be reduced to the economic realm. The Palestinian-led BDS movement calls for various forms of boycott, divestment and sanctions in the academic, cultural, diplomatic, economic, financial, sports and other realms, as was done in South Africa. Furthermore, the objectives of BDS should not be reduced to merely ending the occupation. If anything, BDS is all about the three basic, UN-sanctioned rights of the entire Palestinian people. These include ending the system of racial discrimination in Israel and the right of return for Palestinian refugees. Ending the occupation alone would address most of the rights of a about one third of the Palestinian people. This is not accurate either. BDS was signed by the overwhelming majority in Palestinian civil society in the OPT as well as in Israel and among the refugee communities outside Palestine. BDS speaks for the majority of Palestinians everywhere, not just in the West Bank (including East Jerusalem) and Gaza Strip. Finally, the Kairos Palestine group has further clarified and sharpened its position on BDS in the crucial Bethlehem Call which was issued more recently. – We commit to engage in creative, non¬violent resistance in response to the call from our Palestinian sisters and brothers to this end, including BDS. Other than unambiguously adopting, endorsing and promoting BDS, the Kairos Palestine group in the Bethlehem Call insists that Palestinian basic rights include ending Israeli apartheid and the right of return for Palestinian refugees, along with ending occupation. This makes the Bethlehem Call in perfect harmony with the three basic rights called for in the BDS Call of 2005. So while the Kairos Palestine is still heavily focused on the 1967 occupation, it recognizes Israel’s other forms of injustice against the rest of the Palestinian people. Human rights activist, founding member of the Palestinian civil society BDS movement. Thank you Jim for the article. Also thank you Omar for your contribution and the reference to the recently adopted Bethlehem Call at an international conference/encounter initiated and organised by Kairos Palestine. Notably Rifat Kassis’ book was also launched at this encounter. Jim’s position on BDS in the profoundly yet carefully written Palestine Kairos document is probably understandable. Omar’s insights with reference to Rifat’s book and the Bethlehem Call highlights an evolution of the Palestine Kairos document and not conflicting it and as demanded by developments “on the ground”. 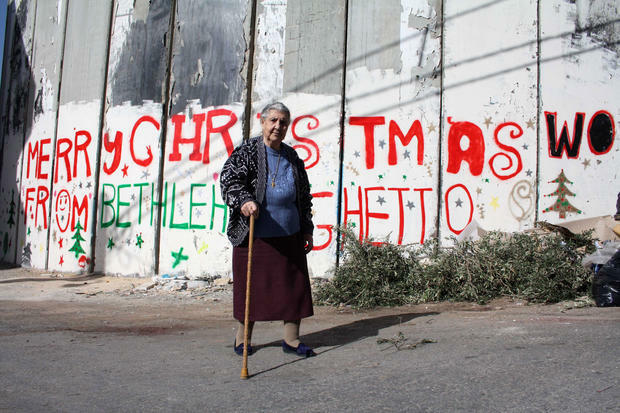 The Bethlehem Call should read as a very clear Christian support for and commitment to BDS and other forms of non-violent resistance . Furthermore, it challenges the theologies and spirituality in Christianity worldwide whereby the occupation is either actively supported and/or effetively supported. Christianity and churches are specifically challenged, and in no uncertain terms, to answer a case for lending support to the occupation and all that it entails. It is also challenged for putting the credibility and integrity of the core message of the Christian gospel at risk. The latter is certainly the most serious spiritual challenge possible from within Christianity and from within churches to itself. In the South African context, this kind of theological justification of injustice and sin was called: heresy. The theological challenge to Christianity in the Palestine Kairos Document as well as in the Bethlehem Call is of vital strategic importance. This challenge is not simiply an interesting and paralel “spiritual add-on” to an otherwise secular political campaign such as BDS. These texts challenge the “operational centres” of individual and collective mindsets of many so-called “ordinary people”, “ordinary Christians” and popular Christian religion as well as that of decision-makers, journalists and others. These mindsets (consciousness) provide for an almost inpenetrable shield against dissonant and discordant information, analyses, rational arguments and also strategies e.g. the BDS message and strategy. Again the South African Kairos document certainly played its role in cracking this christian apartheid “consciousness shield” . It also added a much needed deeper and spiritual (not necessarily and exclusively religious) dimension to the struggle against apartheid. The Bethlehem Call also provides practical challenges and guidance on how churches and inter-church (i.e. ecumenical) bodies could and should support this BDS campaign internally and in broader society. Are we still talking of paralel issues here: the one “theological” and the other “strategic”? Can we start talking of a package deal whereby “secular” and “spiritual/theological” become aspects and parts of the bigger whole and cause? Indeed, Christianity worldwide faces a ‘right moment’ (kairos) vis-a-vis Palestine, as challenged by Palestinians and those in solidarity. May 2012 be a year in which the credibility of Christianity and churches start showing its worth with more and more concrete results in this situation. The Kairos Document does not stop at supporting the current divestment efforts of Churches, calling us to also push for sanctions and boycotts within our churches. Excellent, well expressed, I hope this will lead to some action, I have been writing to my congress people for years, but they do not pay any attention of course, to one lone female. If only there could be a wave of letters demanding action, or a billionaire backer to promote this piece in every kind of media. If that is not promotion, I don’t know what is. As the three denominations move towards their general meetings this year (UMC, PCUSA, and Episcopalians), we will all be addressing BDS. I hope you will consider, Jim, republishing your article with a more extensive and more accurate discussion of what the Kairo Palestine group is asking of us, given the Bethlehem Call and Rifat Kassis’ book.